Rhinos are the second largest land mammal on the planet. There are five species of rhinos. 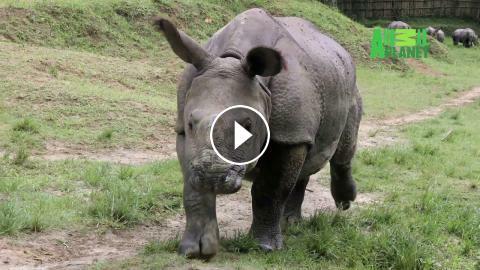 The name rhinoceros means “nose horn.” Want to know more? Watch #RhinoWeek starting 17th September at 6 PM.